Young, sea-loving Lily (nEe Harriette) is aptly nicknamed after a floating flower. A Bajan high school drop-out, she subsists passively in her grandmother's house at the sufferance of a stern, fundamentalist task-mistress, one who malignly sees in Lily her lost, promiscuous, "wutless" mother. 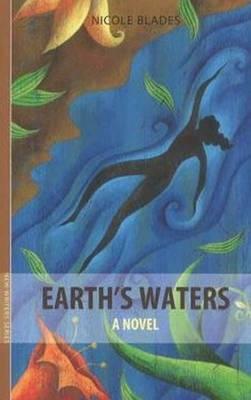 Adrift, born into an "island paradise" which offers few choices to her kind, she must nevertheless identify, then gain the grit and spiritual wherewithal to make them, if she's to escape an out-of-control life of serial beatings at the hands of her first "man," the charismatic, brutal, and finally murderous Goldie (Colvin) Edwards. Through the counsel of her appalled friend Sophie and the wisdoms of a pair of beach Rastas encountered beside her beloved Caribbean, she slowly learns not only that she is, indeed, a lovely flower, but The Rock she must leave via the freedom of primal yet navigable waters, has been the stumbling block set before an unloved female self. With a brilliant ear for both dialogue and dialect, and a great gift for ensemble scenes, Canadian-Bajan novelist Nicole Blades plants us firmly on the soil, not of the tourists', but of the natives' contemporary Caribbean. Nicole Blades was born and raised in Montreal. Her interest in journalism developed at York, where she contributed to the University's newspaper. After graduating in 1994 with a BA in Mass Communications and a BA in Psychology, she moved to New York City and worked at Essence magazine. In 1997, Nicole relocated to Barbados and worked as a features writer and editor for the Nation. Nicole went on to be president and co-founder of the San Francisco-based, online women's magazine SheNetworks. Later, she became an editor at sports giant ESPN, in New York, where she was instrumental in launching ESPN.com's lifestyle section. She lives in Connecticut, with her husband, Scott.